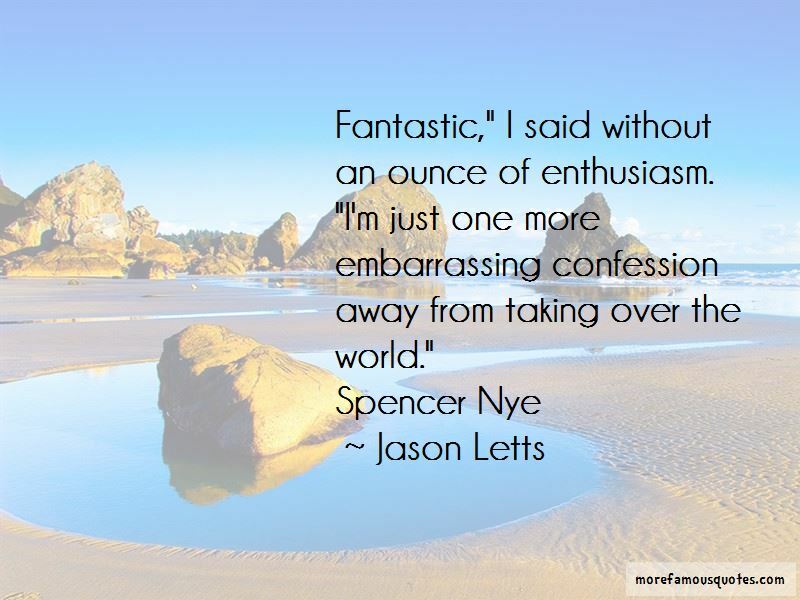 Enjoy the top 4 famous quotes, sayings and quotations by Jason Letts. I used to think that if I were a certain kind of person I would spend all my time creating something beautiful. Well, it turns out I am, and I am. 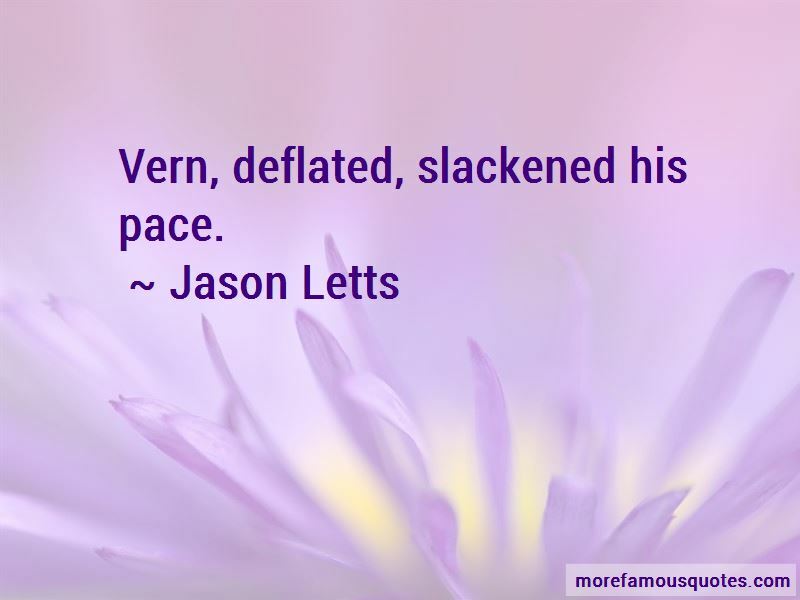 Vern, deflated, slackened his pace. “Fantastic," I said without an ounce of enthusiasm. "I'm just one more embarrassing confession away from taking over the world." 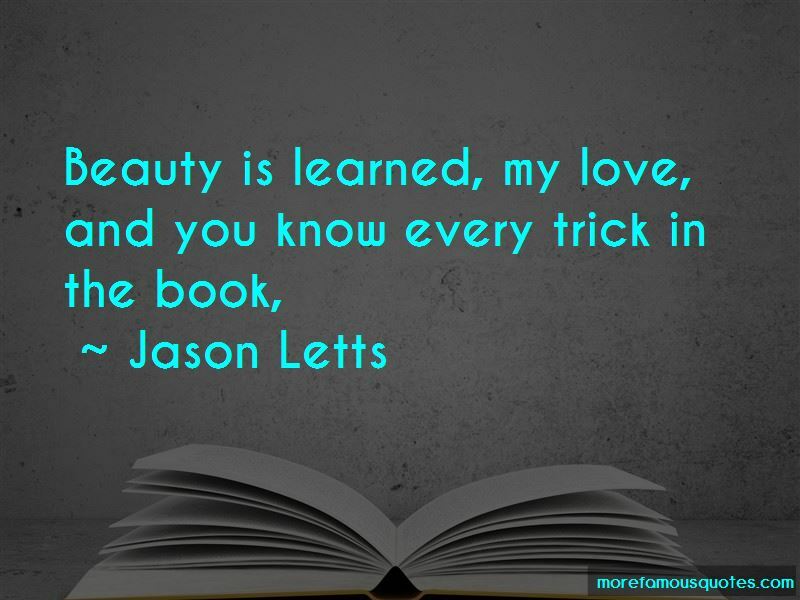 Want to see more pictures of Jason Letts quotes? 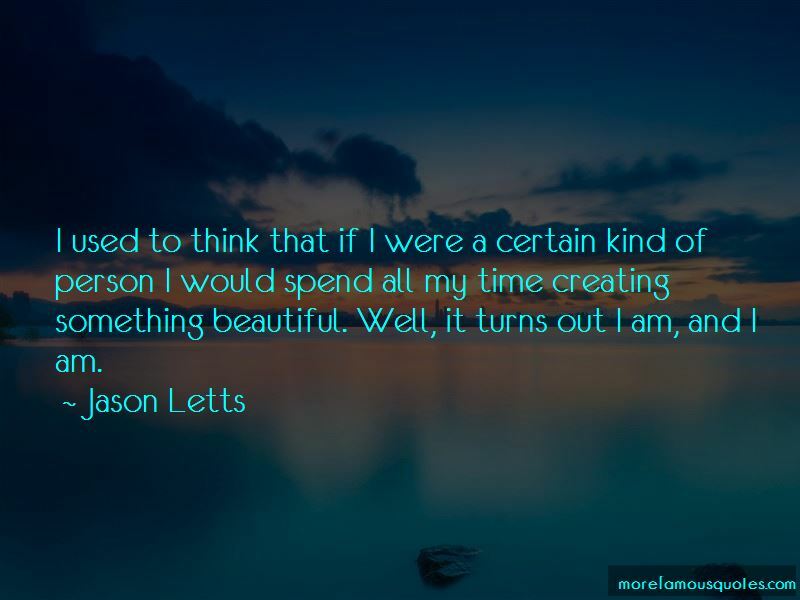 Click on image of Jason Letts quotes to view full size.